Associate Professor Robert J. Korenic, right, and Joseph Sanson, assistant professor, with their research poster at the American Society of Engineering Education Conference for Industry and Education Collaboration. 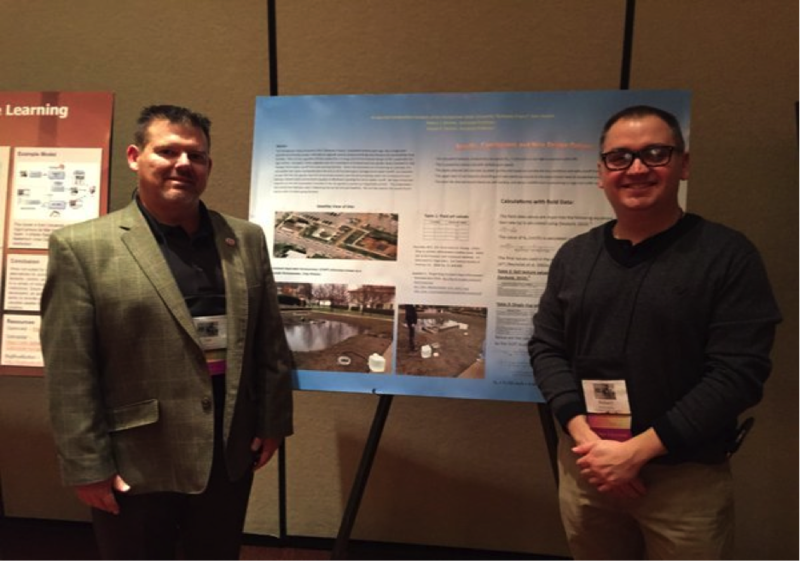 Robert J. Korenic, associate professor, and Joseph Sanson, assistant professor, both in Civil and Construction Engineering Technology, presented research entitled “In-Situ Soil Composition Analysis of the Youngstown State University Gateway Project Rain Garden” at the American Society of Engineering Education Conference for Industry and Education Collaboration in Austin, Texas. Their research was funded by a grant from the American Society for Engineering Education. Amy J. 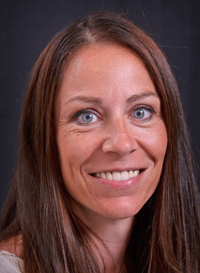 Plant, part-time instructor, Gerontology, was recently awarded the Student Leadership Award by the Association for Gerontology in Higher Education. This prestigious national award is given annually to individuals who have exemplified a commitment to service, scholarship and advancing the cause of gerontology and geriatrics among their peers. The award will be presented at the 43rd Annual Meeting of the Association for Gerontology in Higher Education in Long Beach, Calif., where Plant will be conducting a workshop with Daniel J. Van Dussen, coordinator, Gerontology and Long Term Care, regarding the need for increased marketing and competency-based education in gerontology. As part of her award, Plant will also conduct a session to discuss breaking down barriers for emerging scholars and professionals in gerontology and geriatrics. Rebecca Curnalia, associate professor, Communication, and Mollie Hartup, assistant director, University Events, were among the top three recognized with MVP Awards at the Mahoning Valley Young Professionals’ 25 Under 35 event in February. The awards program honors the region’s best and brightest young professionals; a total of six YSU faculty and staff were named Mahoning Valley 25 Under 35 Honorees for 2016. 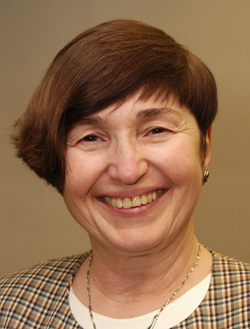 Birsen Karpak, Distinguished Professor of Management, presented “Just in Time Learning and Beyond with a Configuration Client” at the 19th SAP Academic Conference Americas in San Diego. Karpak shared her pedagogical, just-in-time learning approach with faculty from all over the world.